Meusium of Hierapolis where Philip's four daughters lived. III. Links to the Apostles through Church Fathers. I Clement, is the earliest known example of extra Biblical Christian writing. It dates to A 95, and according to tradition is the work of the Biship of Rome, Clement, to the Church at Corinth. The issue was rebellion in the ranks of Presbyters. Be that as it may, the author does mention the Apostle Peter and Paul as having been with them in Rome during his own time. "Let us come to the Heroes nearest out own times. Let us take the noble examples of our own generation; by reason of rivalry the greatest and most righteous pillars [of the church] were persecuted and battled to the death. Let us set before our eyes the nobel Apostles; Peter who...frequently endured suffering and thus wen to the glorious place which he merited...Paul showed how to win the prize for patient endurance.... (5:2-5 in Richardson and Fairweather, et al. Early Christian Fathers, New York: MacMillian, 1970 p.45-46). a foot note of the editor adds that this is good evidence for Peter's martyrdom in Rome (fn Ibid.). This not only documents the connection to Paul, but also to Peter. He speaks of them as part of "our own generation" indicating that this was common knowledge to all of them, that he himself was witness to the presence of these men in Rome. Writing in 95, the events described (64 AD) would have been within living memory of the older members of the congregation. While it is true that this is not direct evidence for Jesus existence, it is evidence that Peter was a real historical person. Since Peter was involved in the center of the action, it is absurd to claim that those events recorded in the Gospels did not take place. We can be certain that they at least had their referent in actual historical events. It is also hard to see how Peter would give his life to a lie, if he made it up or participated in a hoax, never gain from it, and eventually die for that lie. The Jesus mythers use one of their more irritating gimmicks at this point. They try to create doubt that the Peter Clement speaks of was the Peter of the Gospels. I think that's a pretty transparent ploy, especially when they repeat the same gimmick every time their theory is disproved by quoting some other figure. They use the same approach with the James of Josephus' brother passage. If there were no traces of the supporting cast of the Gospels it would be easier to assume that Jesus was a fictional character. After all, what ever became of Philip? Did he actually exist? If he was nothing more than a name made up as part of the story it would be easier to suspect that the whole thing was made up. But Philip and the other Apostles did actually live. 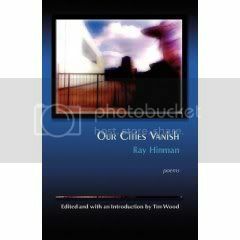 They can be traced historically, at least some of them, to the writings of those who knew them. F.F. Bruce, an Evangelical Scholar, highly respected in all circles, tells us: "Eusebius tells us on the authority of Papias and other early writers that at a late date Philip's four prophetic daughters were famed in the church for authorities in the history of its earliest days." (The New Testament Documents, p.43) Here again, as with the "Elder" quote above we have evidence of an organized effort to remember an preserve the tradition of the Church as it was handed on form one generation to another. IT also indicates that the tradition was passed on by those who were either eyewitnesses, or closely related to the actual events. Coming to us through the pen of Papias this bit of information also gives us an historical connection to Philip, anther principle eye witness to Jesus' ministry and teachings. Papis actually knew the daughters of Philip and Leonard of the early church from them. He did not merely copy hearsay about them but actually learned from them directly. 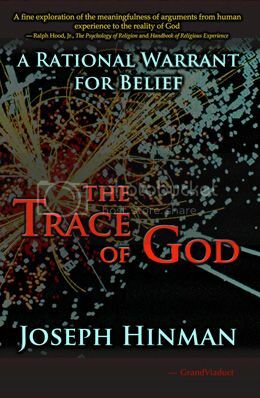 "It may also be worth while to add to the statements of Papias already given, other passages of his in which he relates some miraculous deeds, stating that he acquired the knowledge of them from tradition. 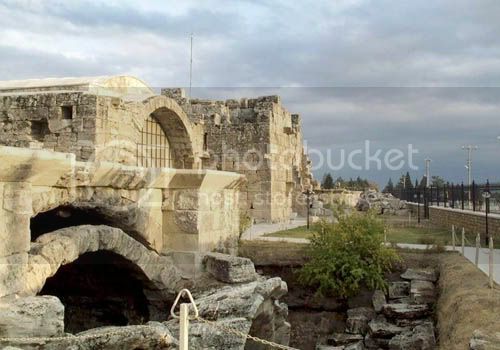 The residence of the Apostle Philip with his daughters in Hierapolis has been mentioned above. We must now point out how Papias, who lived at the same time, relates that he had received a wonderful narrative from the daughters of Philip. For he relates that a dead man was raised to life in his day.24 He also mentions another miracle relating to Justus, surnamed Barsabas, how he swallowed a deadly poison, and received no harm, on account of the grace of the Lord." (Ibid). Sadly, only fragments of Papias’ writings have survived to us, and they reveal little about Christianity in Hierapolis specifically. We do learn from him that the daughters of the apostle Philip were active as prophetesses in the region. These women acted as chruch historians. Since the appear in Acts and met Paul its not far fetched to assume that they met Luke and stand as some of the major sources behind the history in acts. Papias, Bishop of Hierapolis (c.130) Expositions of the Oracles of the Lord. Papias records that that he met and knew many of Jesus' actual deciples and that he spoke with them, and with those who knew the Apostles. "Schoedel writes about Papias (The Anchor Bible Dictionary, v. 5, p. 140): According to Irenaeus, our earliest witness, Papias was "a hearer of John and a companion of Polycarp, a man of primitive times," who wrote a volume in "five books" (haer. 5.33.4; quoted by Eusebius Hist. Eccl. 3.39.1). Eusebius already doubted the reality of a connection between Papias and the apostle John on the grounds that Papias himself in the preface to his book distinguished the apostle John from John the presbyter and seems to have had significant contact only with John the presbyter and a certain Aristion (Hist. Eccl. 3.39.3-7). Eusebius' skepticism was no doubt prompted by his distaste - perhaps a recently acquired distaste (Grant 1974) - for Papias' chiliasm and his feeling that such a theology qualified Papias for the distinction of being "a man of exceedingly small intelligence" (Hist. Eccl. 3.39.13). Nevertheless Eusebius' analysis of the preface is probably correct; and his further point that Papias' chiliasm put him to the same camp as the Revelation of John is surely relevant. It is notable that Eusebius, in spite of his desire to discredit Papias, still places him as early as the reign of Trajan (A.D. 98-117); and although later dates (e.g., A.D. 130-140) have often been suggested by modern scholars, Bartlet's date for Papias' literary activity of about A.D. 100 has recently gained support (Schoedel 1967: 91-92; Kortner 1983: 89-94, 167-72, 225-26). "I shall not hesitate to set down for you along with my interpretations all things which I learned from the elders with care and recorded with care, being well assured of their truth. For unlike most men, I took pleasure not in those that have much to say but in those that preach the truth, not in those that record strange precepts but in those who record such precepts as were given to the faith by the Lord and are derived from truth itself. Besides if ever any man came who had been a follower of the elders, I would inquire about the sayings of the elders; what Andrew said, or Peter or Philip or Thomas, or James, or John or Matthew, or any other of the Lord's deciples; and what Aristion says, and John the Elder, who are dciples of the Lord. For I did not consider that i got so much from the content of books as from the utterances of living and abiding voices..." (Documents of the Christian Church, edited by Henry Bettonson, Oxford University press 1963, 27). This is a very crucial link because there is first, the tantalizing notion of two John's who were eyewitnesses (and perhaps Biblical authors?) to the Lord. There is the Apostle John and the "Elder John." Secondly, this famous quotation is misleading because it indicates that Papias only learned of the Elders through others who relayed the testimony. But it is easy to forget or discount the evidence, clear though it is, that Papias had close personal contact with the actual "Elders" of whom he speaks, at lest Aristion and the "Elder John" but apparently they were deciples. The evidence for this comes form Papias himself who relates long oral traditions related to him by these "elders." Eusebius writes "in his writings he transmits other narratives of the words of the Lord which came form the afore mentioned Aristion and others which came from John the Elder" (in Bettenson, p27). But there is also an amazing turn of phrased Eusebius uses that, "'the elder used to say this also: Mark became the interpreter of Peter and wrote down accurately, but not in order, as much as he remembered...'" And here Eusebius is quoting Papias. This phrase "the eder used to say..." indicates a personal aquantiance in more than one meeting.(Ibid.). Here we may have a direct link form eye witness to Apostolic "father." Moreover, he changes tenses when he speaks of Aristion and Elder John, the he speaks in present tense, as though he's still in contact with them. It seems absurd to think that these witnesses so many years latter would still be clinging to a lie, for which they were persecuted, and which they knew was a lie. These men knew Jesus! They saw him, they sat at his feet and heard his teachings, and they related those experiences to Papias, whose writings have come down to us, although sadly, in fragments. [Papias, who is now mentioned by us, affirms that he received the sayings of the apostles from those who accompanied them, and he moreover asserts that he heard in person Aristion and the presbyter John.23 Accordingly he mentions them frequently by name, and in his writings gives their traditions. [ ....] The same person, moreover, has set down other things as coming to him from unwritten tradition, amongst these some strange parables and instructions of the Savior, and some other things of a more fabulous nature.25 Amongst these he says that there will be a millennium after the resurrection from the dead, when the personal reign of Christ will be established on this earth. He moreover hands down, in his own writing, other narratives given by the previously mentioned Aristion of the Lord's sayings, and the traditions of the presbyter John. "Taking occasion from Papias of Hierapolis, the illustrious, a disciple of the apostle who leaned on the bosom of Christ, and Clemens, and Pantaenus the priest of [the Church] of the Alexandrians, and the wise Ammonius, the ancient and first expositors, who agreed with each other, who understood the work of the six days as referring to Christ and the whole Church." This seems to include the notion of Papias knowing the Elder Joh (Presbyter = Elder) But below it is Iranaeus knowing Polycarp who knew The Apostle John. According to Iranaeus Polycarp, Bishop of Smyrna (Martyred in AD 155?) knew the Apostle John. This doesn't seem likely and has been denounced by the great Church historian B.H. Streeter (The Primitive Church ,1923) and others. The date of Ploycarp's Martyrdom is fixed by W.A. Waddington (see Richardson, Early Christian Fathers, p.144). The tradition recorded in the Martyrdom of Polycarp says that he was 86 years old when he went to his glory as a martyr. This would place his birth in the year 69 AD. Assuming he was a teenager (and he was supposed to be very young) when he knew John, this would place their friendship around the late 80s. Is it possible that John lived this long? Clearly legend has it that John lived to be over 100, returned from Patois and worked in the church of Ephesus. But those legends are probably diriven by the statements in the Gospel which imply that John would not die or wouldbe very old when he did die. If Johannie authorship holds up, and John was in Ephesus in 90 to write his Gospel, than it is possible that he knew Polycarp. The information that these two men did know each other comes through Iraneaeus who did know Polycarp. "Of Polycarp's life little is known, but that little is highly interesting. Irenaeus was his disciple, and tells us that "Polycarp was instructed by the apostles, and was brought into contact with many who had seen Christ" (Adv. Haer., iii. 3; Euseb. Hist. Eccl., iv. 14). There is also a very graphic account given of Polycarp by Irenaeus in his Epistle to Florinus, to which the reader is referred. It has been preserved by Eusebius" (Hist. Eccl., v. 20 ). I Adjure thee, who shalt transcribe this book,1 by our Lord Jesus Christ, and by His glorious appearing, when He comes to judge the living and the dead, that thou compare what thou hast transcribed, and be careful to set it right according to this copy from which thou hast transcribed; also, that thou in like manner copy down this adjuration, and insert it in the transcript. These2 opinions, Florinus, that I may speak in mild terms, are not of sound doctrine; these opinions are not consonant to the Church, and involve their votaries in the utmost impiety; these opinions, even the heretics beyond the Church's pale have never ventured to broach; these opinions, those presbyters who preceded us, and who were conversant with the apostles, did not hand down to thee. For, while I was yet a boy, I saw thee in Lower Asia with Polycarp, distinguishing thyself in the royal court,3 and endeavoring to gain his approbation. 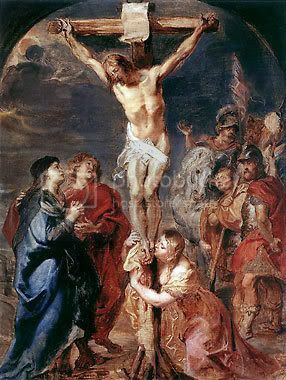 And I can bear witness before God, that if that blessed and apostolic presbyter had heard any such thing, he would have cried out, and stopped his ears, exclaiming as he was wont to do: "O good God, for what times hast Thou reserved me, that I should endure these things? "And he would have fled from the very spot where, sitting or standing, he had heard such words. This fact, too, can be made clear, from his Epistles which he dispatched, whether to the neighboring Churches to confirm them, or to certain of the brethren, admonishing and exhorting them. Nevertheless Polycap never mentions the name John, in the Epistle we possess. He does quote form the epistles of John, and alludes to the Gospel, but not in any detailed quotations. We do have one epistle written by Polycarp. Some scholars have suggested that it was not the Apostle John that he knew, but the Elder John alluded to by Papias in the quotation above (Perhaps the author of the epistles of John, who introduces himself as "the Elder"). This would another figure, probably younger than the Apostle but an "Elder" to the church in the late first century. IF this figure were 20 in AD 30 he would be 80 in A.D. 90 (the writing of the Gospel). He could have known Polycarp any time from the 80s and early 90s. It is possible that he knew either figure. Now it must be added that these writers are all open to criticism. Sometimes they say some very odd things. Iranaeus says that Jesus was 50 years old when he died. No one knows where he got this idea,but probably form John 8:48 "You are not yet 50 years old..." And there are other odd things that they say. But to be mixed up about the most basic relationships, that their friends knew Apostles, or which one's they knew, or that Jesus even existed, seems ludicrous. An excerpt from the non-canonical sayings of Jesus' which Papias recounted. These are supposedly the words of Jesus that aren't in the NT.